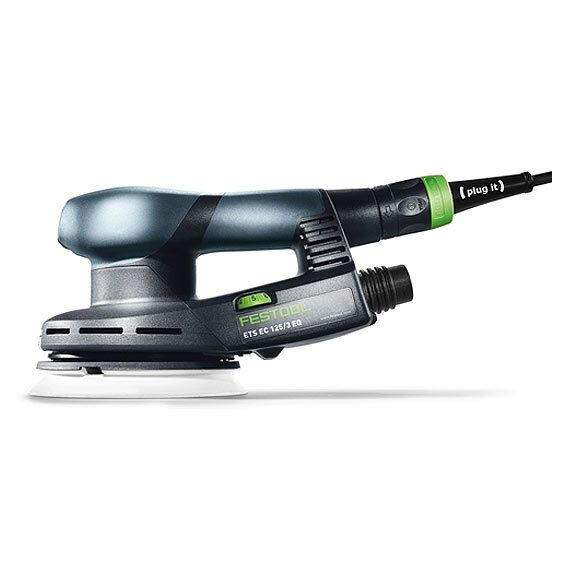 Achieve flawless finishes in less time with the Festool ETS EC 125/3 EQ-PLUS Random Orbit Sander. Equipped with the EC-TEC® Brushless Motor, this low-profile, long-life, and low-vibration sander can run all day with multiple shifts. With a fine 3 mm stroke, this sander offers the performance of an air sander without the expense and bulk of an air system. 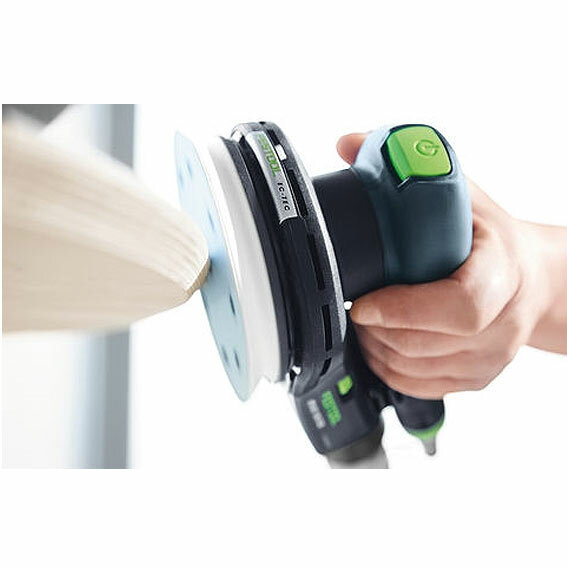 It is equipped with innovative features, which include Multi-Jetstream dust extraction, extraction connection signal, electronic active vibration stop, carbide-tipped sanding brakes and much more – making it the ultimate high-demand sanding tool. Ergonomic & Comfortable - Compact, low profile design and ergonomic grip for greater flexibility in all sanding tasks with less user fatigue. Active electronic vibration control system prevents vibrations before they occur and the carbide-tipped pad brake, and electronic control allows for smooth start-up to prevent surface marring - and near-immediate pad braking. Effective & Long-Lasting - Power through the toughest demands with an EC TEC brushless motor delivering a constant powerful stream of performance. Exceptional service life for heavy users while providing a smooth workflow and a high degree of efficiency – no downtimes for pad brake or brush replacement. 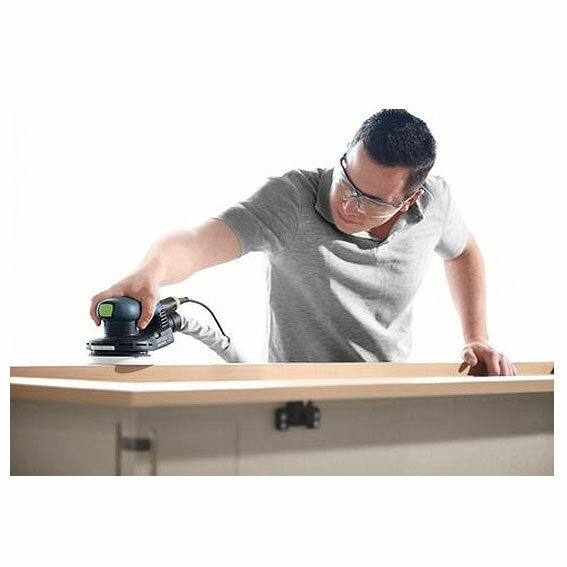 NOTE: Due to the method of attachment, only specially designed Festool ETS EC 125 sanding pads will work with this sander, however, all Festool 125 abrasives are compatible.